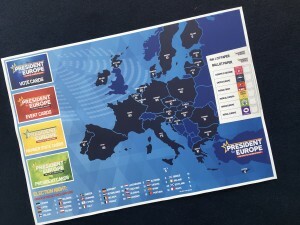 A President for Europe: The Boardgame. Win the election, rule the continent. Europe. The near future. 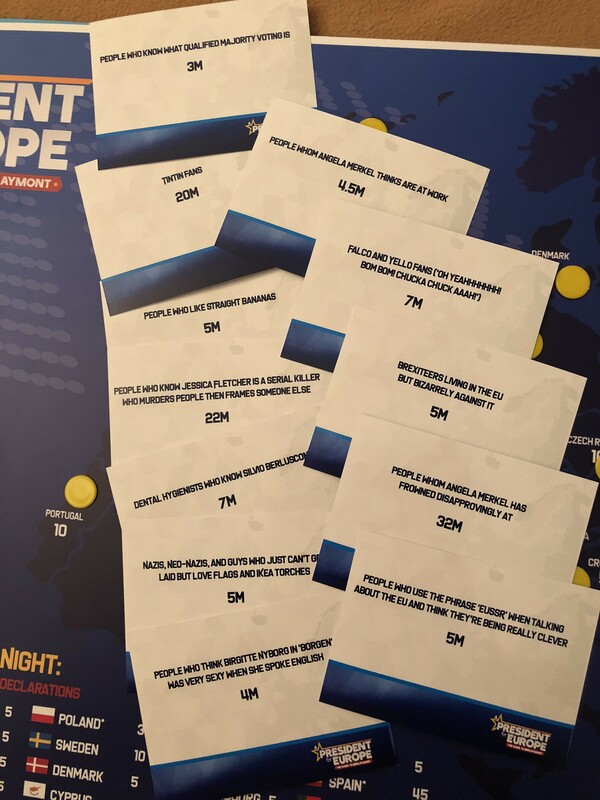 Six candidates battle across Europe to win its first presidential election. Every country goes to the polls. Well, maybe not EVERY country. Will you have enough votes? Will you carry the big states? Or will Europe’s newest member states hold the key? This is a game for movers, shakers, dealmakers and promise breakers, always with an eye on the ultimate prize. Once in office, you have to rule Europe, deal with the odd crisis and keep enough seats in the European council to stop your rivals either ousting you or even surrendering to the Kremlin. A President for Europe: The boardgame. Never mind Brexit: the real negotiations start now.